deadly. 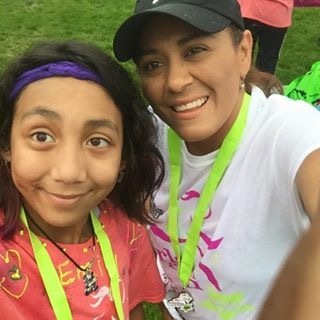 Diagnosed at the age of three and now twelve years old, epilepsy has taken a toll on Emily Garcia for the past nine years. Her family, even with the aid of Children Memorial and Rush University, fight what can at times seem an uphill battle. Emily struggles with a condition that impacts her life daily because her brain is underdeveloped. Her motor skills have been compromised; she has been diagnosed with ADHD (Attention Deficit Hyperactivity Disorder), learning delay, SID (Sensory Integration Dysfunction) and developmental delay which leaves her 6 years behind her peers. All her conditions tie back to her epilepsy. The type of epilepsy that she has been diagnosed with is called Refractory Epilepsy. This type of epilepsy is especially challenging because it rejects medication that controls most seizures. At first Garcia was in denial that her child could have this condition, but soon she realized that this would be a life long battle that she was ready to face. After countless doctor visits and numerous medication Garcia concluded that, “there is no magic pill.” Her type of epilepsy has no easy fix its something that Emily and her family with have to battle with for the rest of their lives. asleep, in hopes that she even gets rest, her mother has to drag her out of bed and prepare her for the day ahead. Garcia said “We have learned to take it as we go.” For Emily she never really knows what to expect, which leaves every day to be an adventure. In school she is never left alone. The school provides her with an aide, Sintia Stewart, who helps her through her day as well with school work. Emily’s school days varies because of her classes but her mornings are always the same. She arrives to school and the students all eat breakfast in the class and discuss how their night went. Even with all of Emily’s conditions, she herself has persevered. In school she has improved in number recognition and vowel sounds this year. Stewart said, “She has gone from avoiding work to pushing herself to reach her daily math and reading goals.” Socially she engages well with others she also is willing to help anyone who needs it. Emily hasn’t made much progress medication wise; she still takes large doses of medicine day and night. Before, she would have to go to the emergency room almost weekly and hospital visits monthly almost. She would spend weeks in the hospital just to get the same results. She was a candidate for brain surgery, but the doctor recommended a VNS (Vagus Nerve Stimulation) which was hoped to rewire her brain and hopefully end her epilepsy, but no progress came from that. 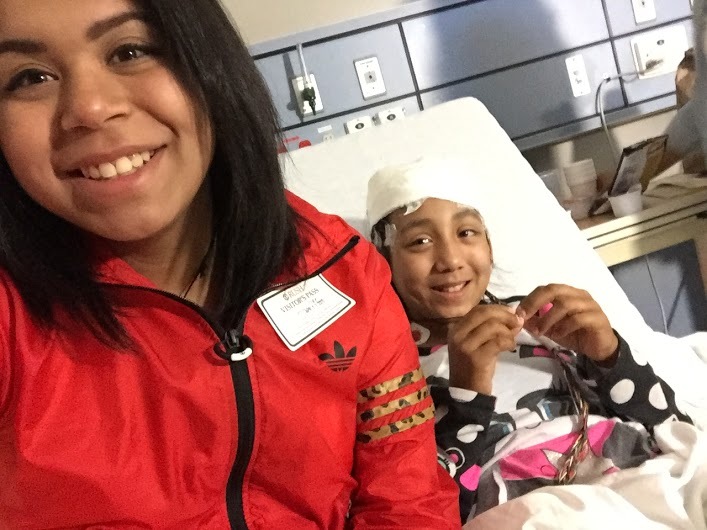 She is expected to admitted to the hospital as soon as the school year is over to begin testing because she is now again a candidate for brain surgery. The doctor was hoping to avoid the surgery because from what they can tell her epilepsy is located on the left side of her brain which comes with numerous risk including mental retardation, loss of sight, loss of speech, and mobility. But it has come to a point where this is her family’s last hope because her condition can only get worse from here.